Nothing to sell. No negative peer pressure. 100% of our proceeds will actually stay in our school. Productive, Informative, Unifying, Rewarding, & Fun. Donate and encourage the community to do the same. Flat donations of any amount helps! Students win prizes for donations! Class that raises the most per grade wins a pizza party!!! PLC, Pre-K, & ISLE wins a pizza party with 100% participation! Donations can be made online or by bringing in cash or checks. Please make checks payable to Judy K. Miller Elementary PTA. 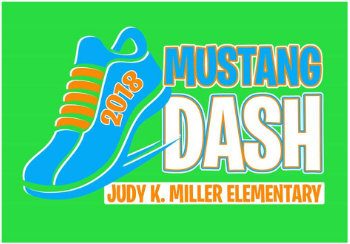 To donate online, please visit the Mustang Dash website. Registering to donate on our website is fast and easy.